Oh hello, I am so glad you are here! I'm Erika, the only heart and soul behind Jasmin Blanc Studio. 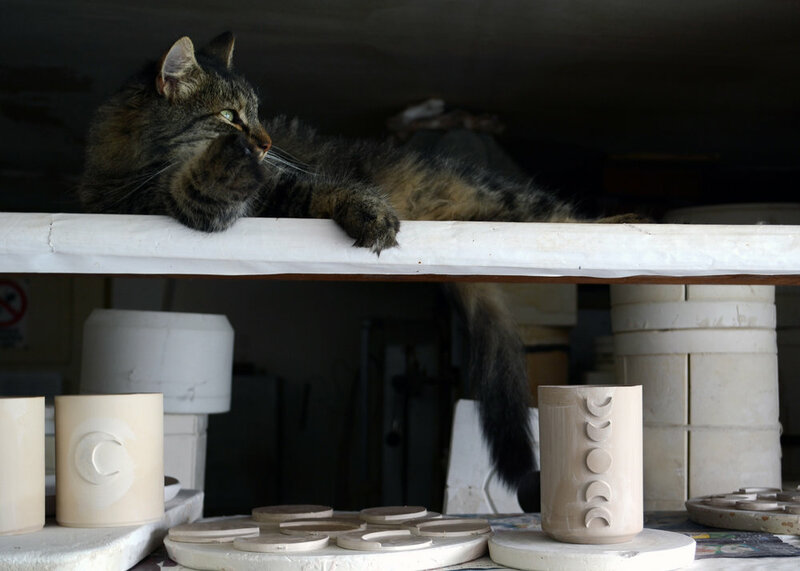 Together with my rescued cats and dogs, I spend most days creating in a tiny studio in the Transylvanian countryside. Jasmin Blanc for me is a form of sincerity. Starting from the good intention, developing the concept, then choosing the materials, and resulting in a thoughtfully made jewelry is beyond words... I find my work to be honest; it is true to me and to you as well, as what I do comes from my heart and is intended to make a simple, yet powerful positive impression on the one wearing(or using) it by delivering that message of love, care and elegance. I am inspired by life and the surrounding environment. From emotions, thoughts, feelings and movement to the more tangible world as sights in a natural environment... I explore them all and ultimately translate them through the lens of my own personal perspective. I want to thank you for being a part of my journey. Your support means more to me than I can articulate, because you not only contribute to helping me live an honest and thoughtful life, but you also enable me to care for the abandoned animals I rescued along my journey. You truly are the best!